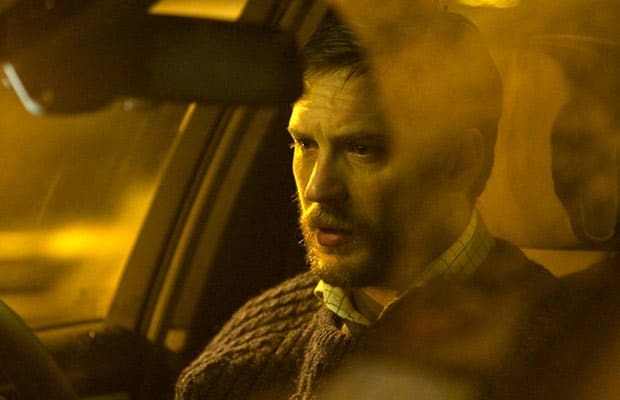 In Locke, which opened in theaters yesterday, construction foreman Ivan Locke (Tom Hardy, absolutely killing it) gets in his car and drives toward London and begins a slow descent into heart-pounding stress. The entire movie takes place in Locke's car, and, thanks to Hardy's knockout performance, it's riveting. Locke also got us to thinking—where else have we seen characters' lives, sometimes quickly and violently, get upended at the sound of a ringing telephone? In movies, ranging from When a Stranger Calls to Taken, answering the phone can literally be a matter of life and death. Not to mention, some painfully cringe-inducing moments of rejected love, like Mikey's unanswered phone messages in Swingers. Let's take a look back at film's dark history with these talking devices with 10 Movie Scenes That Will Make You Scared As Hell To Pick Up the Phone.